Here’s a question for you: Have you ever imagined what it would be like to drive a car without a dashboard? No way to see how fast you are driving, or if the engine is too hot. In fact, no warning indicators at all showing if the hand brake is still on, or if the oil pressure is too low. It would be a terrible driving experience, and it would probably take you much longer to get to your destination. If you would get there at all. And yet, this is what cars were like not that long ago. Can’t imagine it? Take a look at the picture below to the left. You have to admire the simplicity, but it is definitely not great for driving. That is in fact the "dashboard" of an early Model T Ford. Fast forward to today, and car dashboards look radically different. For easy comparison, on the right is an image from a modern day Ford. Wow. Side by side like this, it’s clear that the progress has been nothing short of astonishing. As the Product Manager at Winnow, I believe this example illustrates what we do when it comes to tracking food waste. We take a process that many kitchens today do manually (with pen and paper) and we use cutting edge technology to remove the tedious administrative tasks. We allow the kitchen staff to focus on what’s important: using a clear dashboard that automatically highlights what’s important to drive change and cut food waste in half. QUICK - When you throw something in the bin the weight is automatically recorded, and 3 taps on screen tells Winnow what it was. TIME CONSUMING - The task of throwing something away is disconnected from recording what it was that was wasted. IMPROVED ACCURACY - With a scale providing all measurements, accuracy is improved. With a customised menu consistency is maintained. INACCURATE & INCONSISTENT - Different people are likely to record data in different ways, with different approaches to item naming and estimations. AUTOMATIC DATA CAPTURING - The Winnow system captures the amount, the cost, the reason, and when the waste occurred. More data leads to quicker learnings, and better decisions for change. MANUAL DATA CAPTURING - When recording food waste manually, it’s unlikely you capture details like the time of day or the cost of what was wasted at an actionable and accurate level. EASY TO SHARE & COMPARE – Historical comparisons are an integral part of the Winnow system to help you see progress, and reports are automatically created and sent to you regularly. PDF files and online dashboards can be easily printed or at the click of a button shared with anyone inside or outside of the kitchen. DIFFICULT TO SHARE & COMPARE - When recording data manually, how do you produce easy to use high level information on progress and change? You would need to do a lot of work collating your data over time, and producing additional documents with summaries. Above all, thanks to the accelerating technology revolution we can make good use of Android tablets, Internet of Things, and cloud based services for data storage and reporting to remove the barriers blocking collection of accurate data about food waste. This allows you and your staff to focus on what’s important: studying the trends in the data, identifying the biggest and most costly areas where food is wasted, and deciding on simple actions to change behaviours. The following days, you get immediate feedback to see if your decisions are pushing levels of food waste down. That’s why we see kitchens working with us achieving and maintaining a food waste reduction over 50%. Digital scales and tablets remove the complexity and many manual tasks around tracking. Data is automatically collected, and the graphical and intuitive display on modern tablets makes it easy for all staff to record waste as part of their daily tasks. Up to date menus centrally maintained and distributed to the waste tablets help ensuring that data is accurately recorded. Along with important additional data historical comparisons are easy to do, and accurate over time. Automated collection and backups of all data, keeps your data safe and accessible from wherever you need it. No more lost pieces of paper, corrupt spreadsheets, or crashed computers. With clearly defined process for identifying the biggest waste areas, you can share actionable information with your staff to drive change. With the Winnow system, it’s easy to maintain a daily and weekly routine to review progress and identify the next step to take to further reduce food waste. You’re in good company. Winnow is used in hundreds of kitchens in over 30 countries. Based on feedback from our customers the system is constantly being improved and upgraded. You make use of the latest learnings and emerging technologies to help you focus on driving change to increase your profits, and protect our environment. 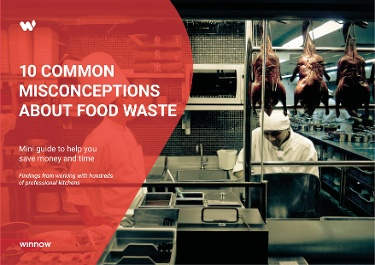 Recording food waste doesn’t need to be a time consuming and laborious task. Technology can help minimise the day to day pressure of keeping track of all information needed to run a busy kitchen. 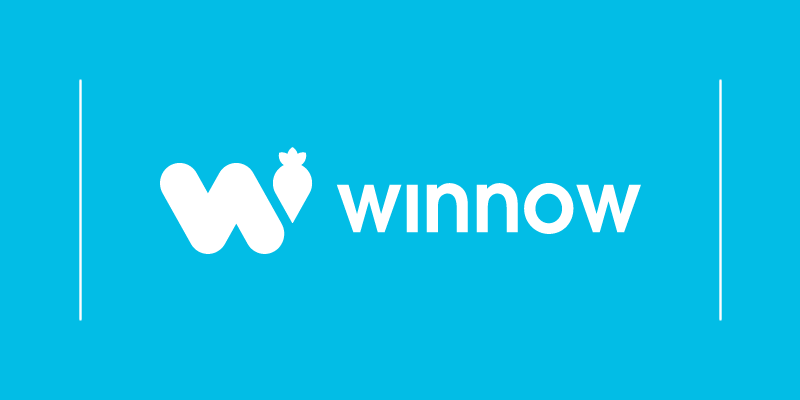 With Winnow you save time, energy and labour while seeing improvements in profitability. And of course, we are only in the beginning of using technology in the professional kitchens. Going back to the car industry, the trend is going towards self-driving cars. Do you remember the Model T Ford? Maybe future cars won’t have a dashboard either. The passengers only care about the end result: a comfortable ride to the destination. Who knows where we go from here with regards to tracking and reducing food waste? Join us on our journey now, and we will help you find out.